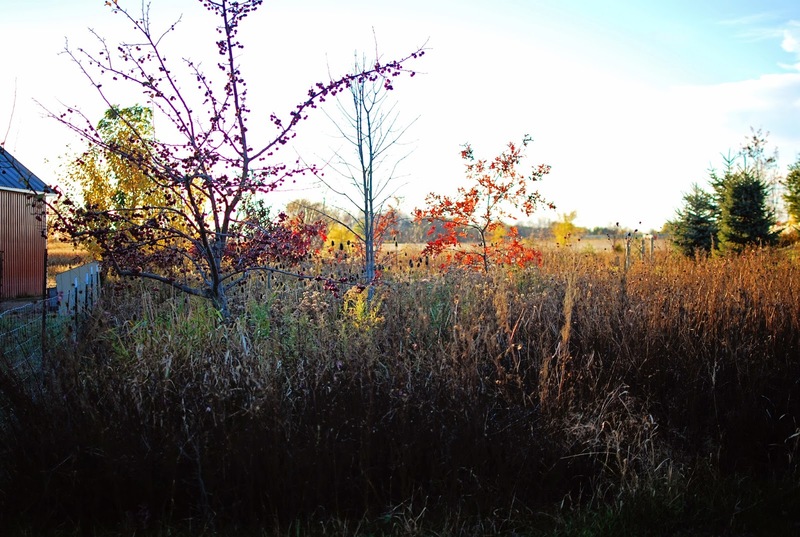 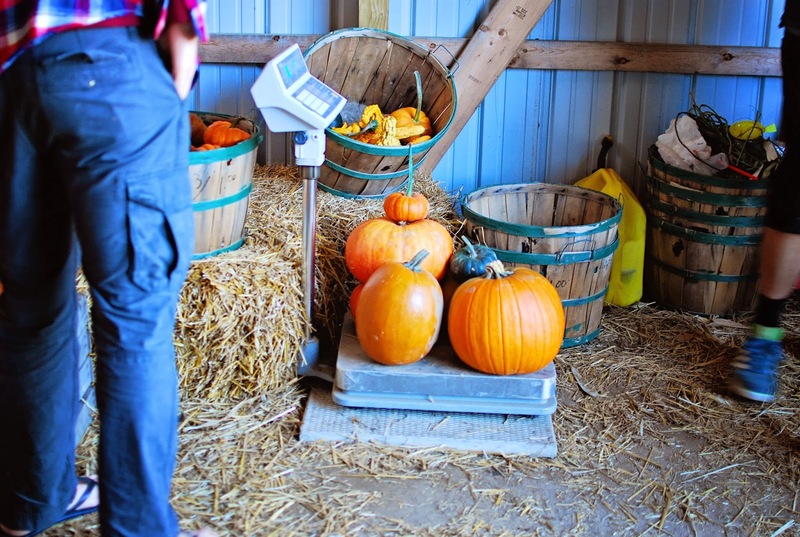 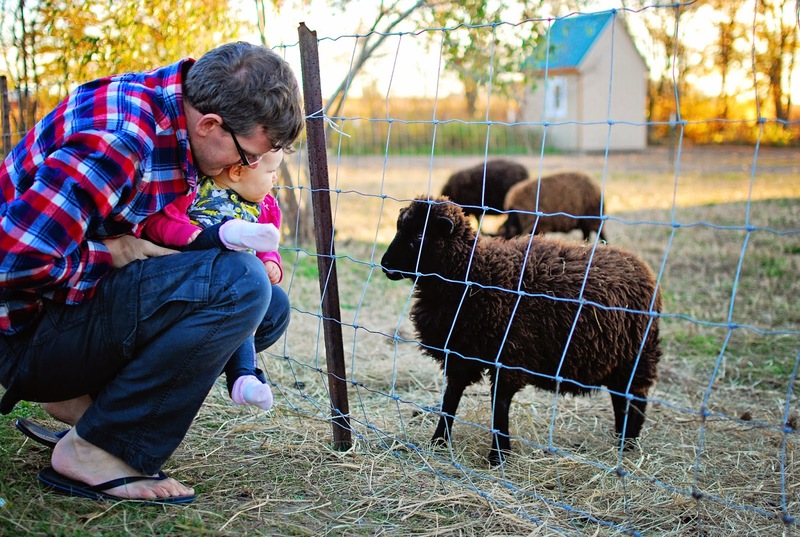 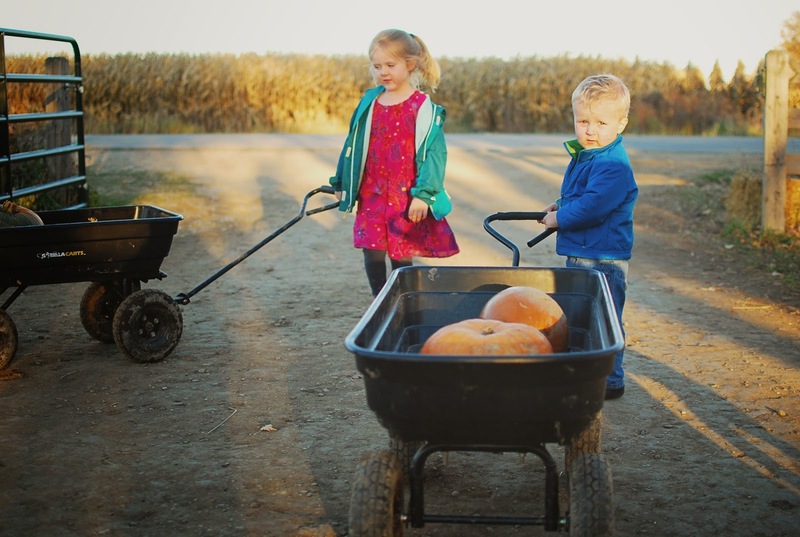 There were only a few pumpkins left, and they weren't in the best shape, but luckily our kids didn't know the difference and still had a lot of fun picking out pumpkins and gourds. 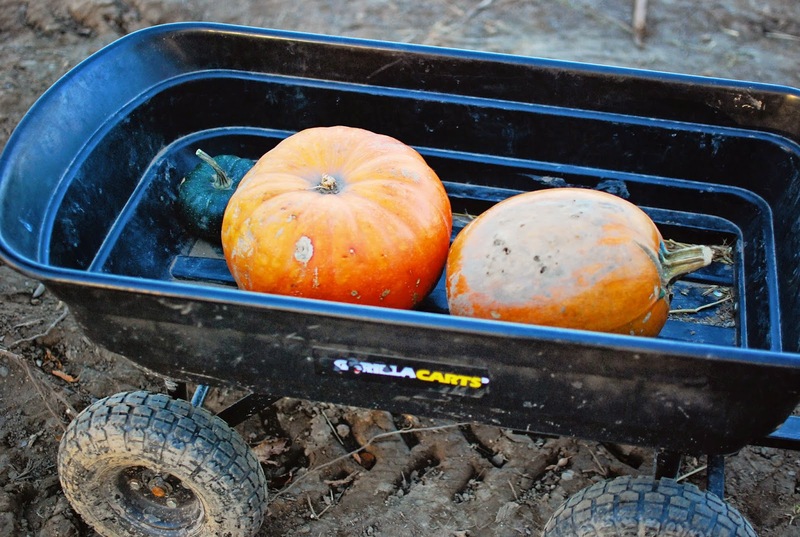 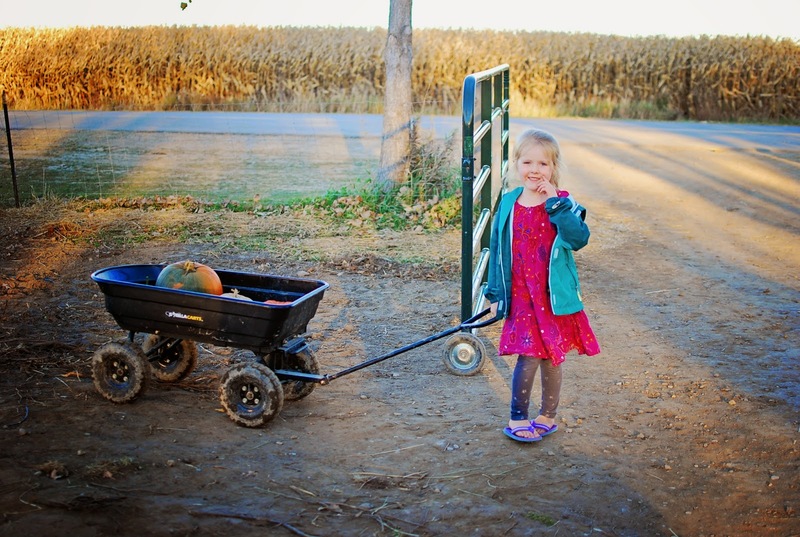 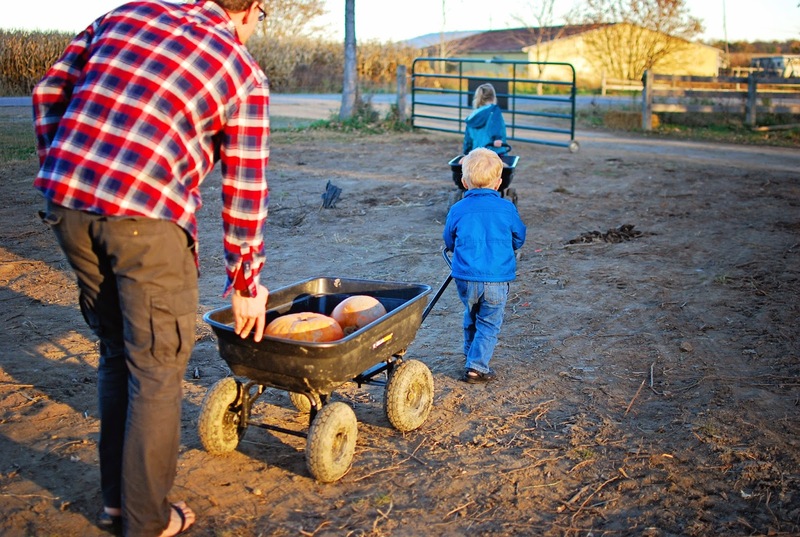 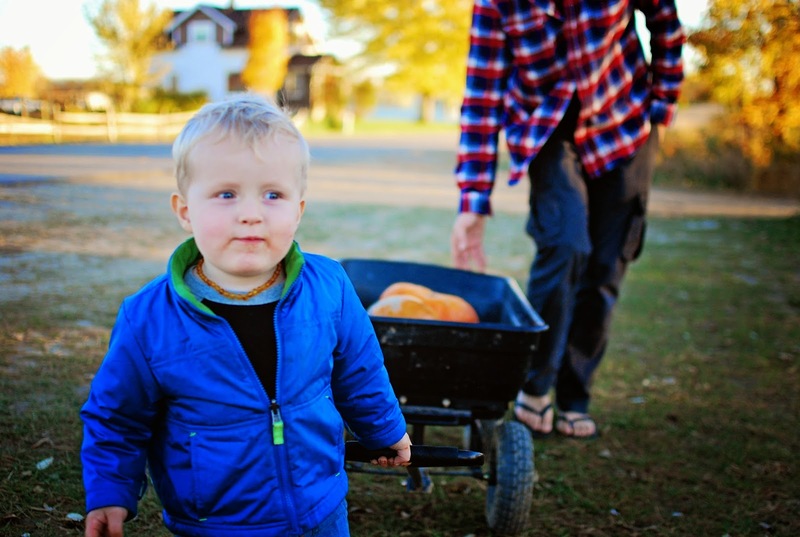 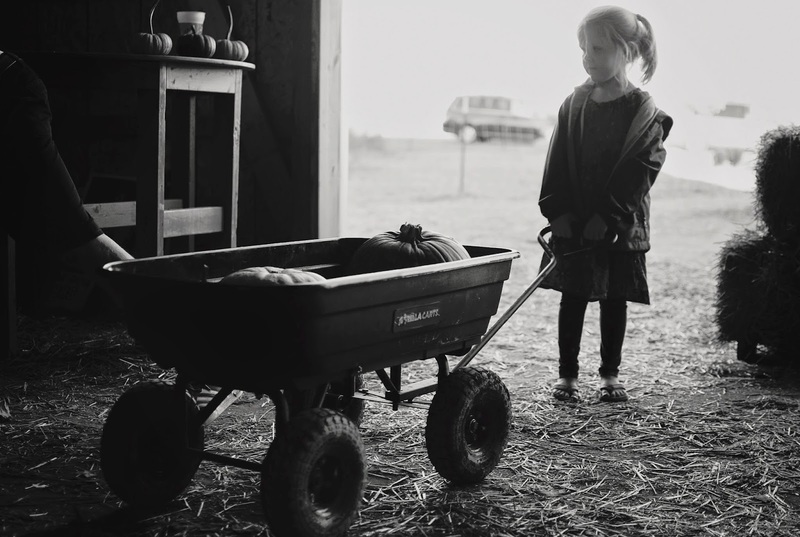 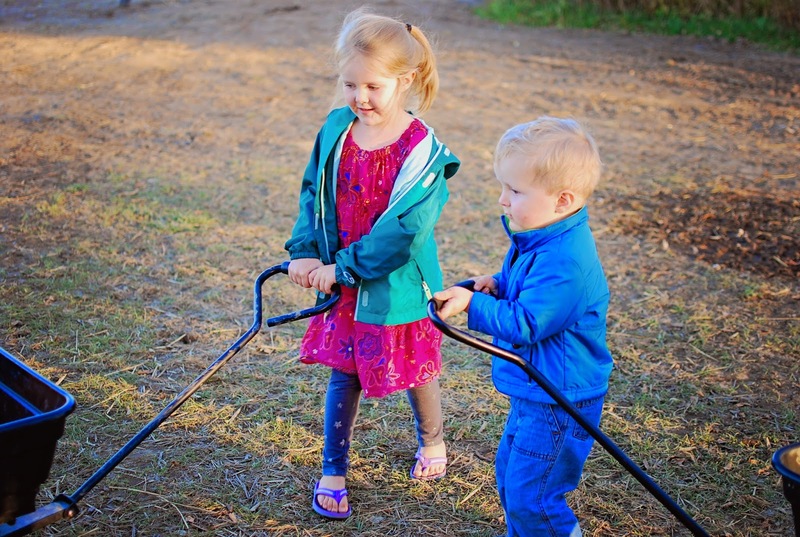 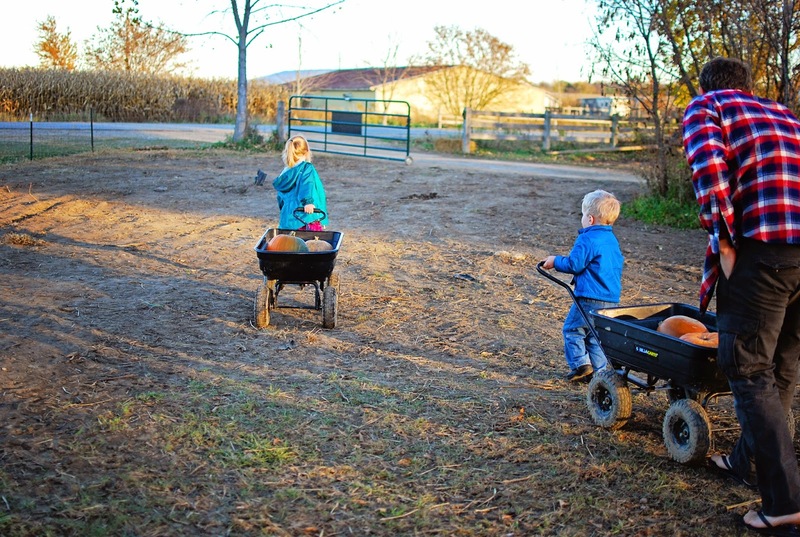 Their most favorite part: getting their own wagons to lug their pumpkins back up to the van. 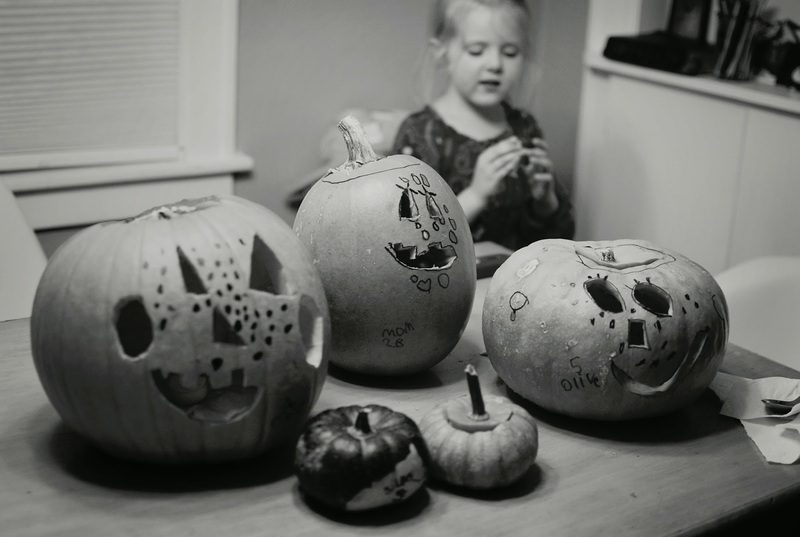 Finally we got home and spent the rest of the evening carving jack o'lanterns! 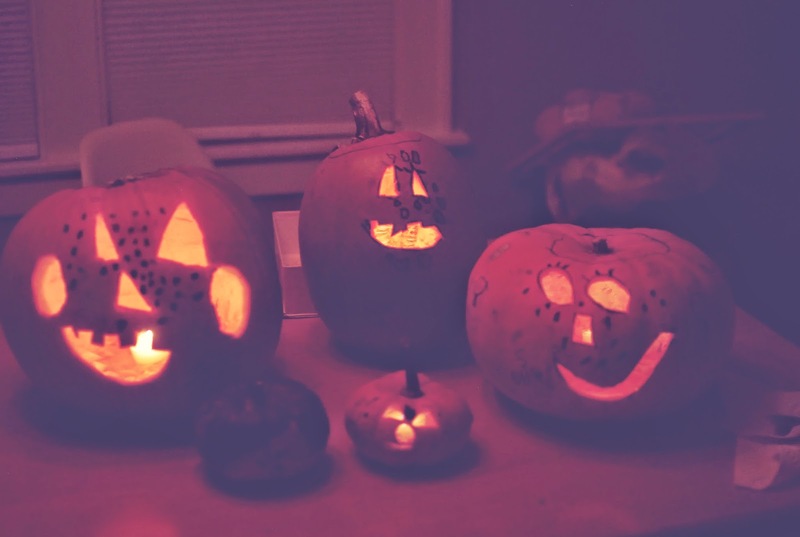 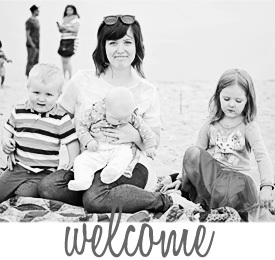 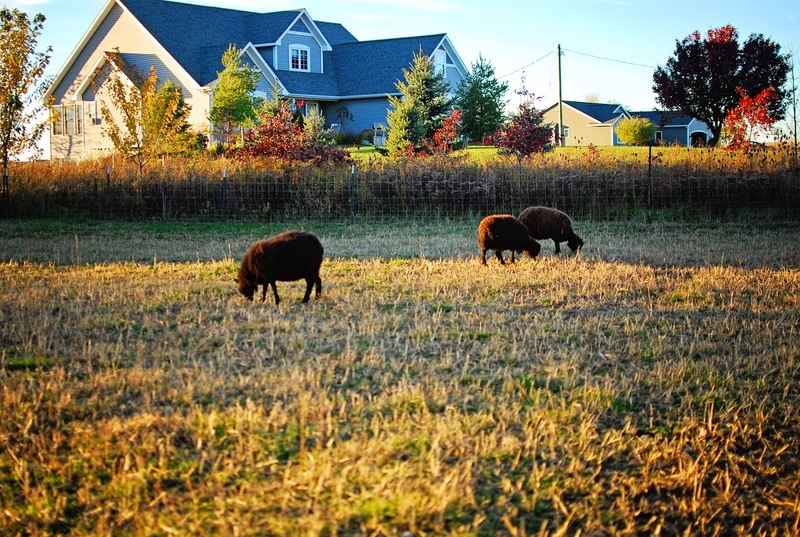 Tonight we're excited to spend the evening eating and trick-or-treating with good friends!